Tim Jessell’s site describes his style as “realistic with a twist”. He does both advertising and editorial illustration and is the author/illustrator of the children’s book Amorak (Amazon link). Feng Zhu creates concept art for feature films, games, theme park rides and toy designs. The Gallery contains images in a variety of styles and degrees of finish. Feng Zhu also teaches industrial design at Gnomon Workshop and Art Center College of Design in California. He and his studio have produced industrial design training DVDs featuring such heavyweights as Syd Mead. The site includes some online tutorials. Architectural presentation art is a form often roundly ignored in art circles, even by those interested in illustration and concept art. Granted, much of it is formulaic, but there are masters here as in other genres of art. Tom Schaller is a case in point. Some of the art on this site is formal architectural presentation art, some is fanciful “imaginary architecture” and some is the equivalent of travel paintings of locations in Prague and elsewhere. All of the images are masterful watercolor renderings. Schaller is the author of Architecture in Watercolor (McGraw-Hill), and The art of Architectural Drawing / Imagination and Technique (VNR / J Wiley). John Nevarez is a storyboard and visual development artist for Disney TV Animation. His self-titled blog is, quite simply, a treat. It’s chock-full of characters, creatures, bots and backgrounds drawn in a lively, infectious style that makes you wish he did animations, comics and everything else ’cause you just want to see more of his stuff. The blog also includes some lively figure drawings. 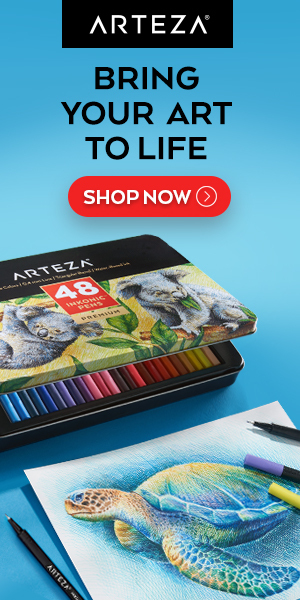 This is a great site for artists (and would-be artists) to visit because Nevarez makes drawing look like the most fun thing in the world. He has published a sketchbook which is available from Stuart Ng Books (along with a way too cool selection of other artist’s sketchbooks). Many modern comic book artists pride themselves on throwing away what’s come before. A few, however, show their respect for tradition and display the influence of the great comics artists who showed us all how it’s done. Steve Rude is a comic book artist and illustrator who has reaped the benefit of respect for tradition. His beautifully restrained comic book work shows the influence of comic greats Jack Kirby and Russ Manning and his sophisticated illustration technique shows thoughtful study of the work of Andrew Loomis and other great illustrators. Most of the artwork on the site is in the gallery but there is also art in News and other sections. There is a new book of his work due in 2006 from Flesk Publications. If you’ve ever said to yourself: “What I really need is a nice cubist time-sink.”, this is the site for you. Mr. Picassohead lets you create your own Picasso-esque faces with drag-and drop eyes, lips, ears, etc. that you can move, resize, recolor and rearrange in a nicely crafted Flash interface. You can save your masterpiece into the gallery or email it to a friend. You can also just click through the gallery and see what the other Picassoheads are doing. The link below is to the main “Create” area. You can also enter through the front door. The site was created by Ruder-Finn Interactive.